Posting bail is all about getting out of jail as quickly as possible. But how could this straightforward process have such a colorful history? 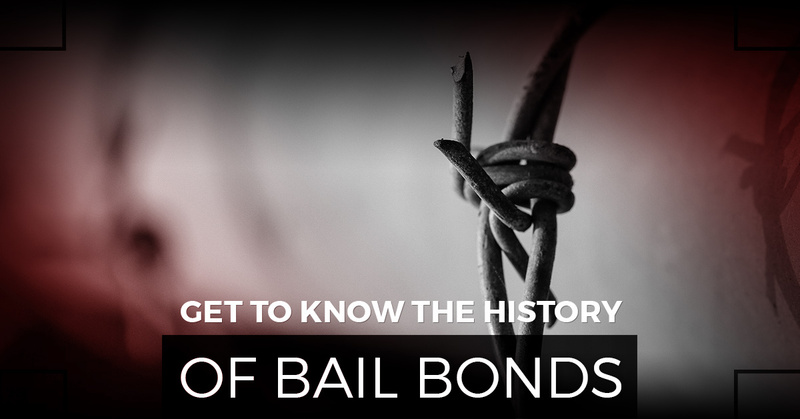 In this blog post, we will look at the history of bail bonds. Consider that the system of posting money in exchange for temporary release pending a trial goes all the way back to 13th century England. At the time, folks accused of crimes would do whatever they could to avoid their court date because the punishment was typically water torture or burning at the stake. Keep in mind that there was no magistrate in local towns and it could be several weeks before a judge could hold court. So where did bail bonds come into the picture? The practice came about of a need to balance the rich, middle, and poor classes when individuals were accused of a crime. In 1275, Parliament passed the Statute of Westminster, which listed the crimes that were bailable offenses and those that were not. The U.S. Congress didn’t really find a breakthrough with the bail process for several hundred years when the Bail Reform Act of 1966 was instituted. It stated that a defendant facing trial for a noncapital offense is released “on his personal recognizance or on personal bond.” The judge could take it a step further and choose a more severe alternative such as limiting the defendant’s travel and executing an “appearance bond” that would be refunded when he or she appeared in court. When you or a family member are booked into jail, time is of the essence. That’s why you need an experienced bail bondsman at your side. You can feel comfortable knowing that ABC Bail Bonds is a third generation business with over 50 years of experience. Our bail bonds agency provides fast, confidential, friendly service when you need it. When deciding on a bail bond company, it’s important to choose one that actually cares about your situation. Our trained and licensed bail bond agents are happy to answer any questions you may have about the process. We are proud to offer some of the most affordable bail bonds in New York City. We accept all major credit cards, checks, and offer easy payment plans. Call now for 24/7 assistance.